Zip by Premier Inn will offer rooms from £19 a night on the outskirts of towns, with a £5 cleaning charge for customers staying more than one night. Premier Inn owner Whitbread (Frankfurt: WHF4.F - news) said it decided to develop its new concept after discovering that guests were "willing to forego traditional expectations" for a cheaper price. 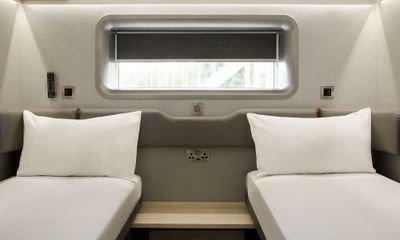 With (Other OTC: WWTH - news) that in mind, the company has created "compact" rooms which measure at 8.5m square and were partly designed by PriestmanGoode, which develops first class cabins for airlines including Air France (Paris: FR0000031122 - news) and Lufthansa (Xetra: LHAB.DE - news) . Each room will have twin beds that can be pushed together to create a double, a bathroom with power shower, free wifi, a TV and air conditioning. Breakfasts are served in a "large communal area" which "transforms into a bar in the evenings". She (Munich: SOQ.MU - news) wants Zip to be "attracting those guests who are on a particularly tight budget but still expect and deserve the basics done brilliantly". Premier Inn managing director, Simon Jones, said "considerable" research had been carried out, and six Zip rooms had been "on sale to customers for many months". He said the research showed that customers were "happy to compromise on location or some extras if they are paying a fantastic price for their room".